Sometimes, it’s hard to say nothing at all. There are times when you need to speak out, to confront, share your opinion, rant, or vent. And then there are times, as in the new book “Audacity” by Jonathan Chait, where you must praise. For perhaps the last few months of Barack Obama’s presidency, media outlets have debated about something that definitely matters: was he one of the best presidents, or one of the worst? It’s the former, says Chait, even though he admits there are times when it looks like the latter. 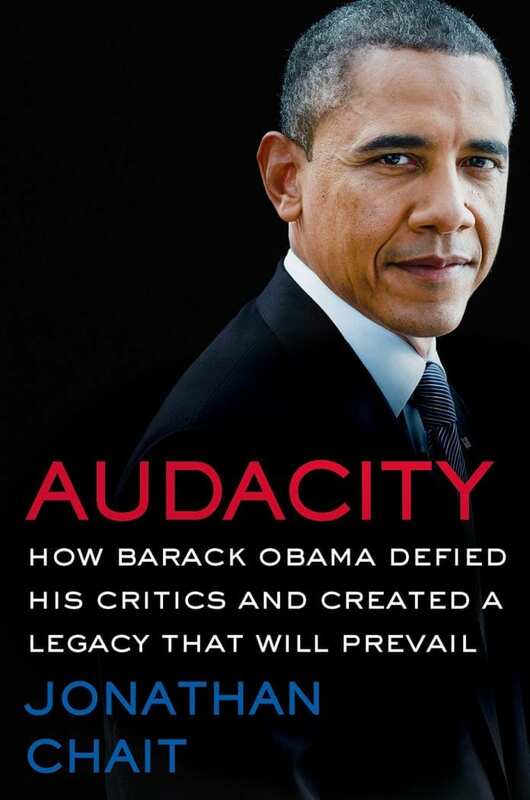 Obama, he says, however, absolutely succeeded at what he set out to do, and this book follows that argument. Though the Civil Rights movement was forty-some years prior to the day a Black man moved into the White House, racial issues keenly split the country over the last eight years, not along lines of race, but on political lines. White America often denied it, but Obama forced a harder soul-search on racism. Health care legislation insured millions of Americans who otherwise would have no coverage, thanks to Obama and a surprising number of ideas that first came from the Republicans. As a new President, Obama boosted the economy by spending money on green energy, with an eye toward global climate concerns. He helped restore America’s world-wide “standing”; and foresightfully recognized China and India as budding superpowers. Just know first that there’s a lot to absorb. Because author Jonathan Chait is also a political columnist, the goings-on behind-the-scenes in Washington are presented in great detail in this book. That can be both a good thing and a bad thing: good, because Chait is clear in reasoning and thorough in fact-finding, in favor of arguments for a stellar Obama legacy; bad, because this thoroughness becomes quite heavy at times.